What is telecommunication, let’s look at this from ground up. Telecommunication = Tele + Communication, i.e. communication at a distance. Tele is Greek and is a common prefix in English for “distant”. UTW has 3.0.1 for WordPress 1.5 therefore I have immediately upgraded. 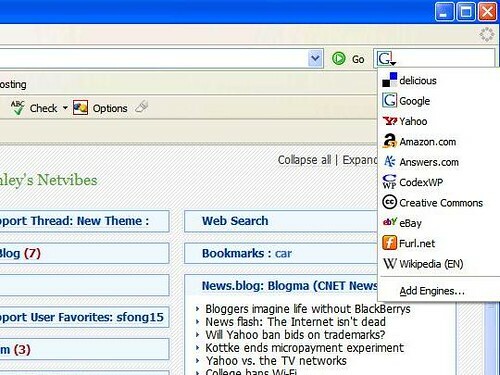 If you go to podz’s site HERE, there is a way to add search engines in Firefox, what you’ll get is below. One minor thing to warn is that when you save the codes in your notepad be sure to put file name between quotes, i.e. “codexWP.src” or else windows still set that as a text file not file with “.src” extension.